Conveniently, the routing tables in the example based on Figure 5-2 had the correct routing information already in their routing tables. In most cases, these entries are built dynamically by use of a routing protocol. Routing protocols learn about all the locations of the network layer "groups" in a network and advertise the locations of the groups. As a result, each router can build a good routing table dynamically. Routing protocols define message formats and procedures, just like any other protocol. The end goal of each routing protocol is to fill the routing table with all known destination groups and with the best route to reach each group. The terminology relating to routing protocols sometimes can get in the way. A routing protocol learns routes and puts those routes in a routing table. A routed protocol is the type of packet forwarded, or routed, through a network. 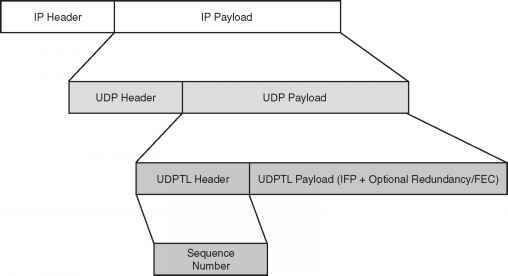 In Figures 5-1 and 5-2, the figures represent how IP packets are routed, so IP would be the routed protocol. If the routers used the Routing Information Protocol (RIP) to learn the routes, then RIP would be the routing protocol. Later in this chapter, the section titled "IP Routing Protocols" shows a detailed example of how routing protocols learn routes.